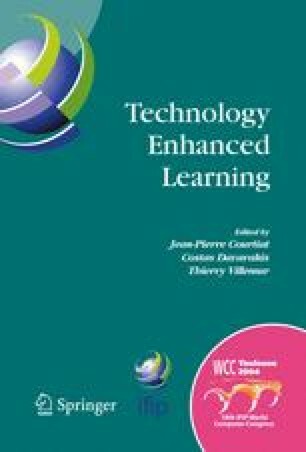 The objective of this paper is to present a Web application, constructed in order to help and guide teachers and learners of computer networks. This application defines a context for teaching and learning which is based on a methodological approach stemmed from some modern educational theories. Concept maps, a graphical representation of the relationships among concepts, are used to model and organize the knowledge of the application domain, in our case, computer networks. This application offers a very concise form to present the concepts and principles to be taught or learned and consequently to organize the educational process. Guidelines for using this application and its associated environment are also presented.